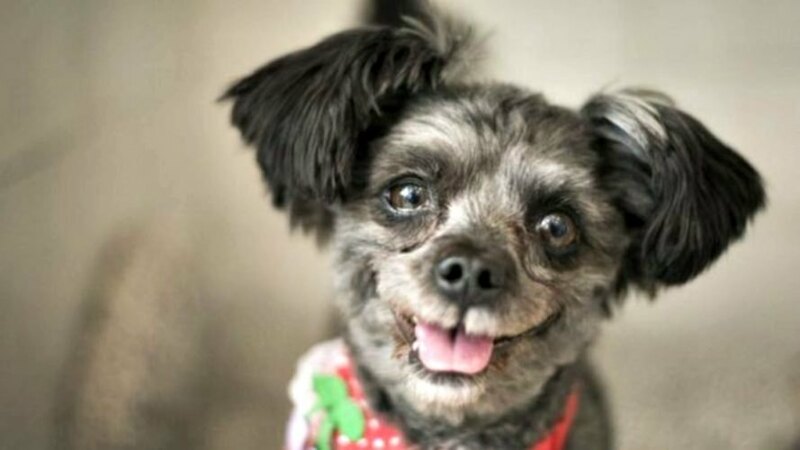 For the first time in South Korea’s history, a rescue pup will serve as the country’s “first dog.” The country’s president, Moon Jae-In, adopted a canine named Tory on Wednesday, July 26. The 4-year-old mixed breed was pulled from a dog meat farm by the group Coexistence of Animal Rights on Earth (CARE) two years ago, but has had trouble being adopted due to superstitions against his dark coat. Fortunately, he has finally found a forever home with none other than South Korea’s President. The news was published on the Facebook page of the President’s official residence, the Blue House. Now a part of the family, Tory will live a life of luxury along with Moon’s 10-year-old Pungsan dog Maru and a rescued shelter cat named Jjing-jjing. 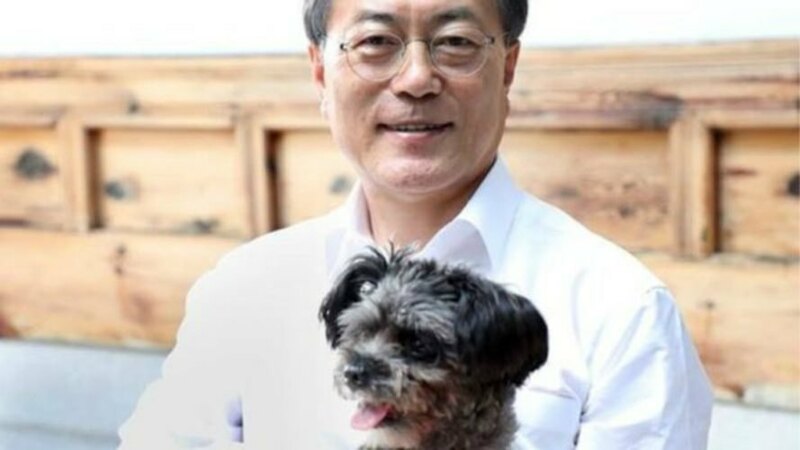 Animal rights activists are applauding Moon Jae-In for setting a positive example in South Korea, where animal abandonments are quite common. In 2015, roughly 800,000 animals were abandoned – and that number was closer to one million animals in 2010. Additionally, it is not uncommon for neglected canines to end up in the dog meat trade. This is because, in some parts of South Korea, dog meat is considered to be a delicacy. In fact, old beliefs hold that if prepared correctly, dog meat can have special medicinal properties. There are no rules or regulations limiting the farming of consumption of dogs in the country, which means that around 17,000 dog meat farms exist. At those locations, between 2.5 and 10 million dogs are killed every year. Tory was adopted during the peak of “Bok nal,” an annual festivity when the majority of dog meat is consumed. Aware of this reality, Moon Jae-In pledged early 2017 to invest in animal welfare by building playgrounds for pets and feeding facilities for stray cats. The politician also pledged to make South Korea better for both humans and animals, though he did not outright declare he would end the controversial dog meat trade. Still, progress has been made by the notable public figure adopting a dog that might have ended up on someone’s dinner plate. 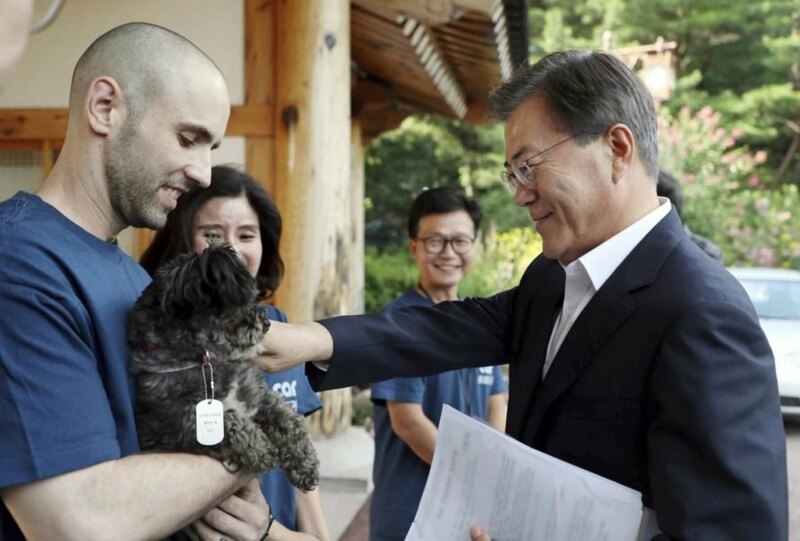 For the first time in South Korea’s history, a rescue pup will serve as the country’s “first dog.” This occurred after the country’s newly-elected president, Moon Jae-In, adopted a canine named Tory on Wednesday, July 26.